If you’re one of many young Americans who have taken out a title loan, then you’re probably relieved you had easy access to the fast cash you needed to deal with whatever unexpected expense or emergency situation that caused you to take seek out a short-term loan in the first place. But if you got your title loan without a plan in place to repay it, the relief you felt when you put your cash emergency behind you could soon be replaced with a gnawing anxiety: how I am going to pay this loan off? A lot of people feel this way, but there’s no reason to be anxious about paying off title loans. Millions of people successfully use these convenient financial products each year, and there is no reason that you can’t as well. 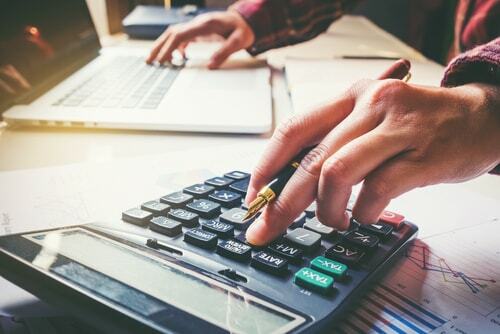 The key to minimizing the cost of a title loan is to pay off the balance as soon as possible, and when you actually put your mind to it, there are almost endless ways to make extra money to pay down your loan faster than you ever thought possible. A yard or garage sale is a great way of earning a little extra money to put towards paying off your title loan. We all inevitably accumulate clutter around our homes, and closets full of things we don’t need or use. A yard sale is the best way to clean out your house and turn your clutter into cash. 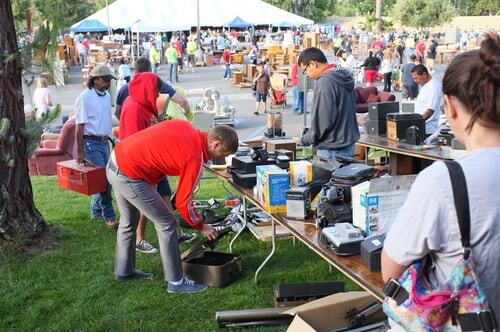 There’s a lot of tricks to throwing a great yard sale, but visibility is first and foremost. Not only do you need to advertise your sale well in advance, be sure to put up flyers, signs, and balloons on the day of the event. Another pro tip is to organize and price all your items ahead of time to avoid the hassle of haggling with strangers all day. Any of these three services is a great way of making extra money in your spare time, and none of them require a significant amount of effort. Building your client base will probably be the most challenging part, but by starting with your friends and family you’ll gain the experience and references you need to branch out quickly. Word of mouth is everything when it comes to house, pet, or babysitting, so always present yourself as a responsible and reliable individual who is eager to work. There’s a reason that Uber drivers have largely replaced taxis in certain parts of the country. 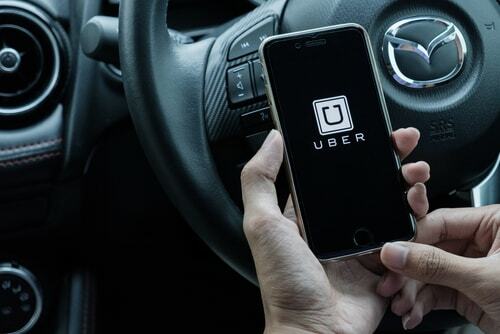 Not only are they more convenient for passengers, but becoming an Uber driver is a proven way of earning money on the side. Like many other jobs in the gig and sharing economy, Uber and Lyft driving doesn’t tie you down to a set schedule, which means you can work as much or as little as you want. If you’re looking for a fast and easy way to pay back your title loan early, sometimes you don’t need to look any further than your driveway. If you’re fortunate enough to work in a profession where your skills are in demand, freelancing is a great option for earning some fast cash on the side. In today’s connected world, sites like Fiverr and Upwork make it easy to find people willing to hire skilled freelancers to work on particular jobs or projects. While creatives like artists, writers, and video editors are some of the most sought-after freelancers, if you have nearly any type of skill you’ll probably be able to find someone willing to pay for it. Related: Looking for more ways to get the fast cash you need? Find out how you can pick up extra money with these easy tips!